Intensive impregnation produced using nanotechnology-based carbon (carbon, PTFE), designed for most types of clothing and shoes as fashion and sports orientation (leather, synthetics, textiles) in combination with a breathable membrane like Gore -TEX, Sympatex... . It prevents water penetration , dirt and other substances in the material structure. Tested for water vapor permeability. After application forms on the surface of the material invisible protective film called. Lotus effect. Suitable for impregnating shoes, clothes, hi-tech equipment, umbrellas, as well as tents, sleeping bags and other equipment. Surface treatment restores waterproof type Teflon and ion-mask ™. 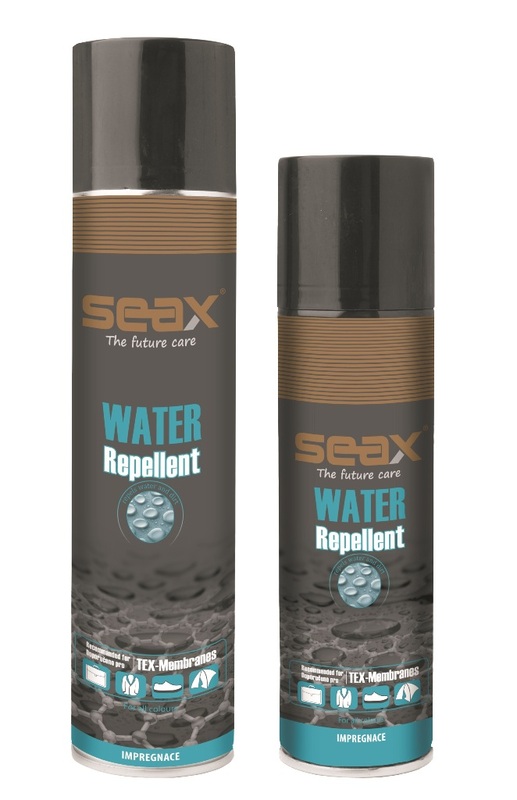 When used in winter, reduces the risk of stains from salt on the shoe upper. To achieve the ideal hydrophobic effect is recommended to repeat the application with regard to the frequency and intensity of use of impregnated material. Its composition also more pleasant application since it is compared to the competition almost odorless.